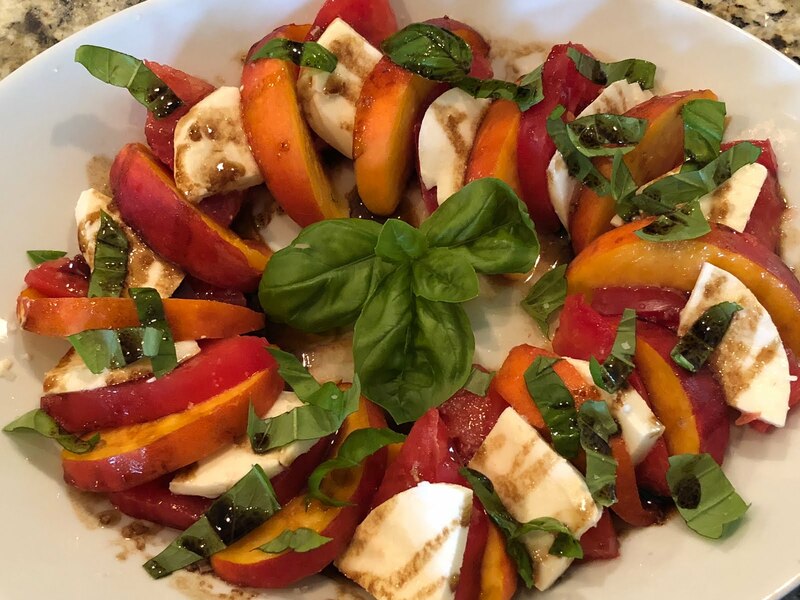 When summer produce is at its peak this simple salad is summer on a plate! I just got a box of 12 peaches at Costco and they are so good, firm but ripe, juicy and so sweet. Perfect for this salad as each ingredient needs to be at it’s best. I also got some wonderful heirloom tomatoes at the farmers market that taste like a tomato should taste. I will be making this again real soon as the peaches are ripe and ready.